ADINATH CONTROLS PVT. LTD. is the brand known for serving quality Control Equipments at competitive prices. 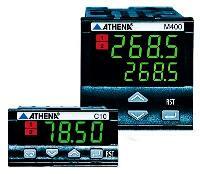 We are one the renowned Temperature Controller Sensor Manufacturers in India. Products served by us such as Hot Runner Temperature Control Systems and Thermocouple Temperature Sensors are in huge demand due to their high efficiency and quality. The huge demand of our products has entitled us as one of the leading Exporters of highly efficient Control Equipments.